When you go to London there are a number of things that you have to do if you want to live the whole experience: double bus, fish and chips … and a tea in conditions. 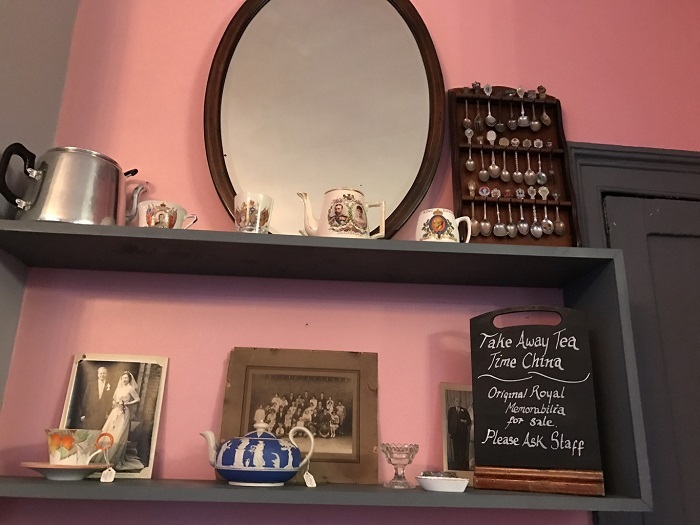 Of course there are lots of places, but the Soho’s Secret Tea Room experience offers you a classic English tea in a hidden place. Of course it is not the most elegant of the city, obviously the Ritz or Fortnum & Mason are the option if you want glamor in abundance, but here you are presented with the opportunity to experience it in a classic way and in a place full of charm or They tell you where you are or you do not find it, hence it is secret: hidden in the top of a classic pub. In London’s Soho, behind the Palace Theater and just a stone’s throw from Chinatown, we find Coach and Horses, a pub as typical as we can find thousands in the city, but it hides a small secret inside : a staircase that will take us to Soho’s Secret Tea Room, a classic tea room where everything becomes sweet tradition. The normal thing is that you go in and get two rounds for the place, which is not too big, until either you see the face of clueless and ask if you are looking for the Tea Room, or you are bold enough to sneak inside From the bar and cross that door in which there are stairs that take you upstairs. In our case we were already asked below if we had reservation. Once upstairs you receive two absolutely smiling girls to whom you ask for your table, in our case the reservation we made from and we confirmed it at once, advisable if you do not want to take the surprise that there is no room. The atmosphere is totally vintage and you have a feeling of transporting you to a 40’s tea room , with your tablecloths on tiptoe, shelves and fireplaces. The photo is made right when we left and there was nobody left, but I assure you it was full. Once there, the choice is yours: choose what you like most of the letter , both in the tea and infusions as homemade cakes, let you advise the classic afternoon tea . Of course it is what we choose, and that you see in the photo that heads the post is a tea for one person. The waitress asked if we were very hungry and if not the best was to share it: tea, cake, scone (they had run out of them and they replaced it with a piece of cake more), macaroon and six sandwiches. The place, with its wooden floor, its different chairs, its tablecloths one of each house, its classic porcelain but untidy , neither plates nor cups nor sugar bowl nor teapot or dairy are going to be the same, which gives a certain tone of your Own house without losing the tradition of serving it. Another thing, the kettle gave us three teas with milk each, without sparing. And the best cakes I have tasted in a long time, homemade and exquisite. What is on the shelves is ancient, and if you approach the image you will see what the English like so much: porcelain commemorative of kings and queens, as well as spoons made for special occasions. If you like a lot it‘s all for sale, and they even have local canvas bags so you can carry a souvenir. It was a totally recommendable experience in a place that offers a classic tea as they send the canons, served by friendly people and above that does not reach 20 pounds, which is certainly a fantastic deal. Of course we all want the experience of the Ritz, but this is much more mundane and close to anyone who does not seek to feel in the Downton Abbey lounge. A must visit if you are going to London. The wonder of Northern Ireland. A place full of surprises.